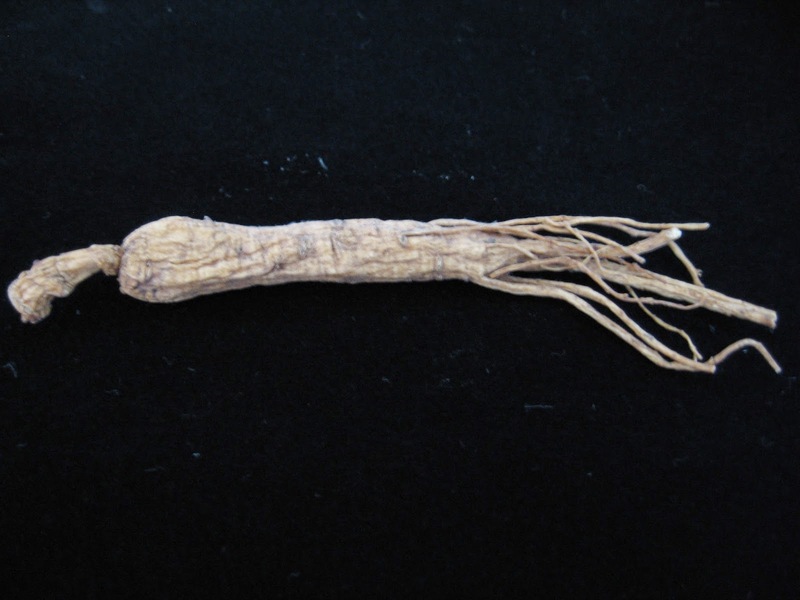 I have a box of ginseng roots which has been sitting in my refrigerator for sometime now. It was a lovely gift. However, we were not too sure of its strength or the potency of these little roots for fear of ending up "over-heating" our bodies. I decided to ask the herbal shop proprietor. 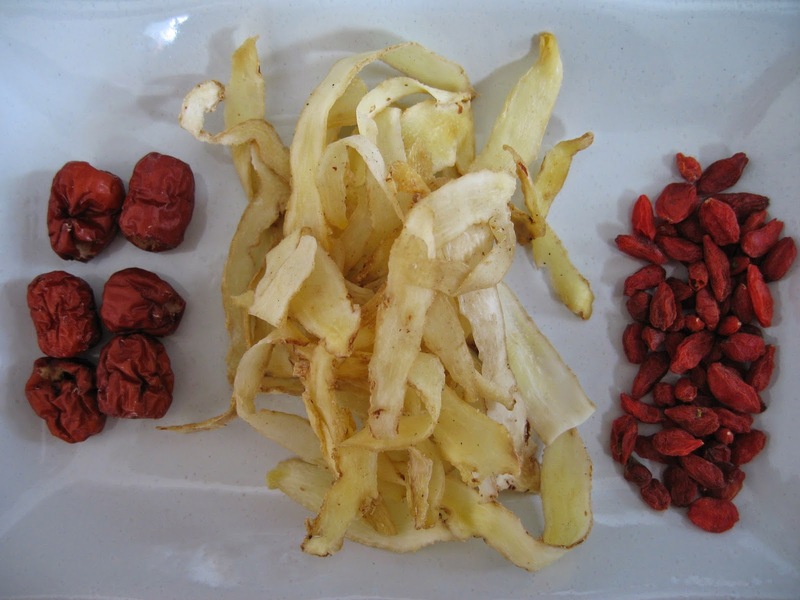 He advised that I should add in some red dates, wolfberries and some Solomon's seal or "yook chuk" in Cantonese. 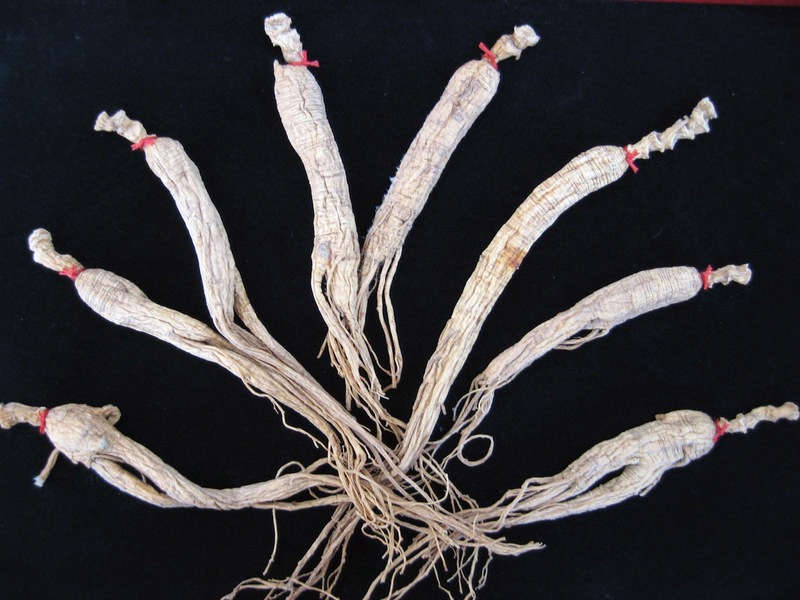 According to him, the addition of these herbs will counter the "heaty" properties of the ginseng root. After boiling for three hours we have a pot of very nutritious ginseng soup. 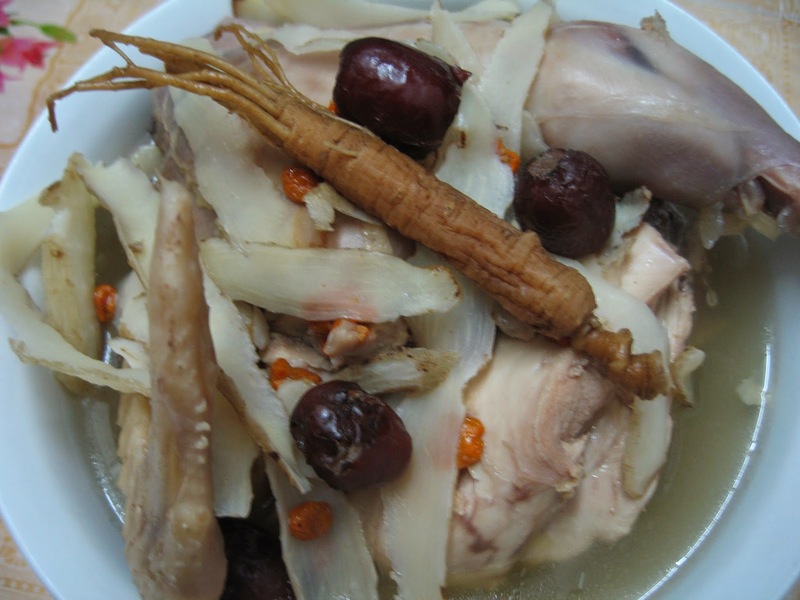 The yook chuk had imparted a natural sweetness to the soup. We are glad that we did not feel any "over-heating" after the addition of Solomon's seal to brew this very nutritious soup. 2. 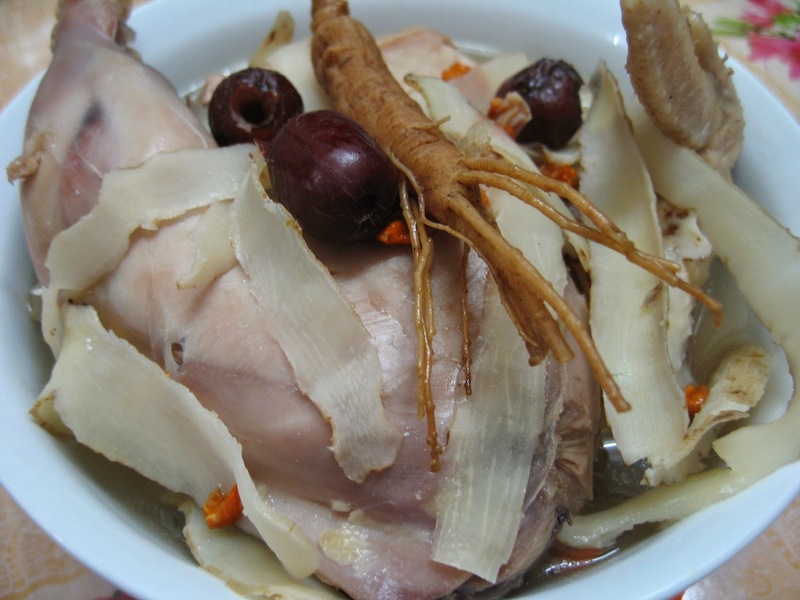 Add in all the Chinese herbs, ginseng root and stewing chicken. 3. Once it comes to a boil again, reduce to small flame and continue to boil for 3 hours. 4. Add in salt and switch off flame.